Robert Thompson, Chief Executive, News Corp. When Democrats refuse to acknowledge or investigate the truth, their default offense is to claim that the charge is “a hoax,” or “debunked,” in spite of the evidence. 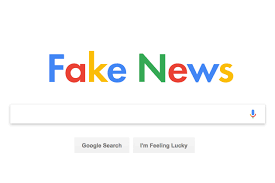 In the case of Google’s role in censoring conservative content, Google admits they have manipulated algorithms and have partnered with ‘more authoritative sources’ news to bring “high quality journalism” to its’ top search results and feeds. Therefore, if you are not deemed authoritative by the titans of tech, your content will not be prioritized and you will suffer direct financial consequences. Not surprisingly, it is conservative content and a variety of conservative publications who are suffering. Yet, this proof is “baseless” and ‘a hoax’ according to Senator Jerry Nadler (D-NY). According to Breitbart, Jerry Nadler received over $20,000 from Google Parent company Alphabet between 2017 and 2018, receiving, on average $10,000 per year in previous years. The manipulation of algorithms in order to pick winners and losers in search results, whereby the winners are politically and financially aligned with Google, is a toxic relationship between media, government and tech–a monopoly who has an enormous power to influence and change opinions according to the world view of a filtered few, instead of a world view based on the opinions of many. Raising awareness of these manipulative alliances and monopolies will not be led by paid senators like Jerry Nadler, as he benefits both financially and politically. The awareness and related challenges are being led, most recently, by News Corp.
News Corp. used its third quarter investor call as a platform to continue its attack on the two dominant tech platforms whose outsized influence and practices are having a “deleterious effect” on journalism. Chief Executive Robert Thomson expressed concern about the opaque role of algorithms, the secret, behind-the-scenes calculations that determine what information consumers see. He called for the creation of an Algorithm Review Board to monitor for abuse. An ARB board could ensure that algorithms are not picking winners and losers in this information age, especially if these tech companies are protected by their claims of being a neutral platform. If journalists are picked according to ideology and subjective opinions, and if information is purposely suppressed to advance a certain narrative, then journalism is no longer about discovery and reporting, it is simply a vehicle of propaganda.